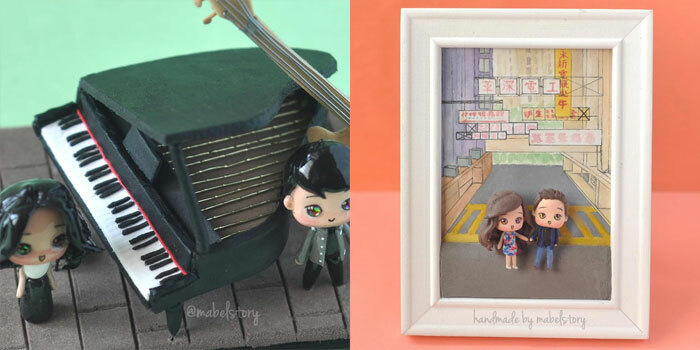 Mabel Story is an arts and crafts business started by Ipoh local Mabel Low in 2012. 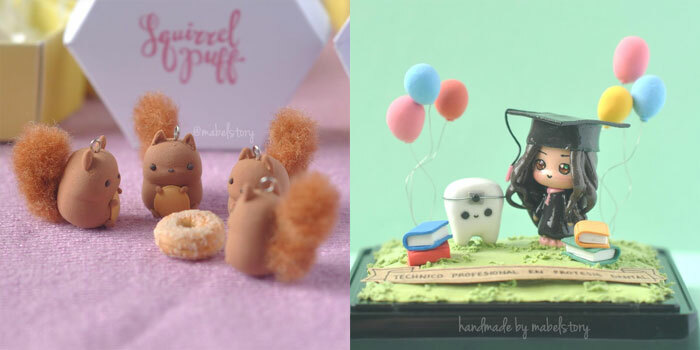 She creates clay sculptures inspired by Japanese anime, and mostly does commission-based work. For Ipoh local and founder of Mabel Story Mabel Low, the idea that a hobby could end up turning into a self-sustaining business had never crossed her mind. But when the 28-year-old started meddling with clay sculptures in 2012, everything just seemed to fall into place. “Before Mabel Story, I had a blogshop selling handmade jewellery and it was common practice to purchase charms, beads, crystals and other materials to be assembled into jewelries of your choice,” she said. 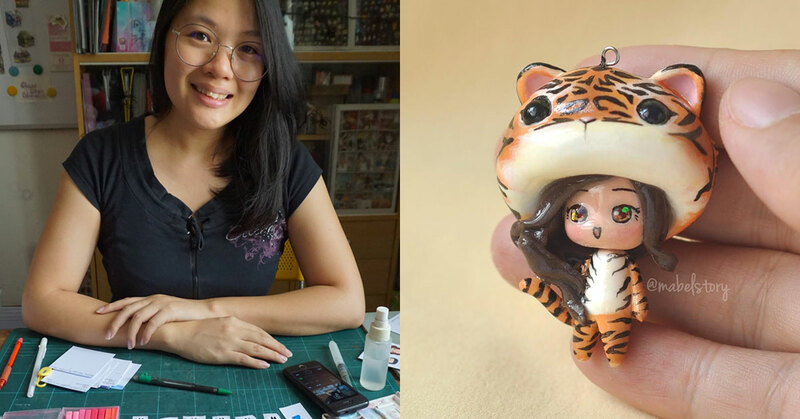 Having absolutely no experience and background in art and design (she underwent an ACCA accounting course in college but dropped out to focus on her business), creating clay sculptures was a slow burn for Mabel. It was only after chancing upon some paper clay at a stationery shop nearby her college that she began taking it seriously. After a series of trial, error, and honest criticism from her buddies, Mabel finally began working at perfecting her sculptures and eventually got good enough that she felt confident enough to post a photo of creations on Facebook. Mabel’s business currently runs off commissioned clay sculpture work that’s available through Etsy, and with regards to the production process, Mabel works directly from her bedroom and takes anywhere from three days up to a week to sculpt a set of sculptures, all depending on what the demands of her clients are. Currently, the most popular items on sale are the chibi figurines—Japanese-inspired sculptures that look like cute anime humanoids. 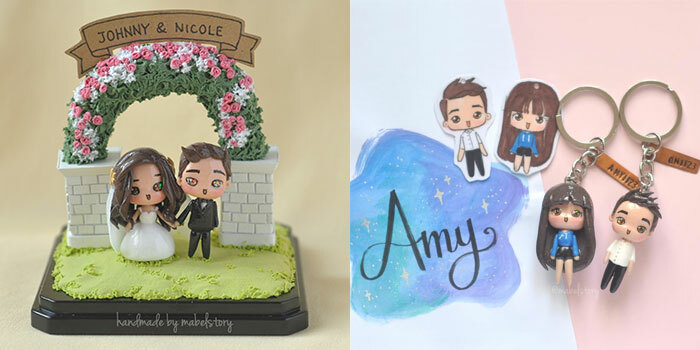 For these, customers usually send over designs or references for things they’d like chibi-fied. Mabel then walks them through design ideas and quote them prices (typically beginning at US$16/RM65) according to their demands, and then proceeds to create them and send them for final approvals from the customer before they get shipped off. Additionally, Mabel also produces hand-designed stickers that are currently available to her subscribers on her Patreon page. These usually take a day or two for painted art, or two to three days if they’re digitally created stickers, diecuts, or artcards. Speaking of accomplishments, the one thing Mabel is most thankful for is the financial independence that she’s enjoyed since turning Mabel Story into a full-fledged business, getting a healthy amount of customer commissions as well as paying subscribers on her Patreon page. She also revealed some figures and told us that on a good month, she can make up to RM8,000 off her clay sculptures, but it all typically averages out to somewhere over RM2,500 a month . Additionally, she’s also cherishing the relationships she’s been able to forge with other fellow artists and crafters that she’s met throughout her journey. 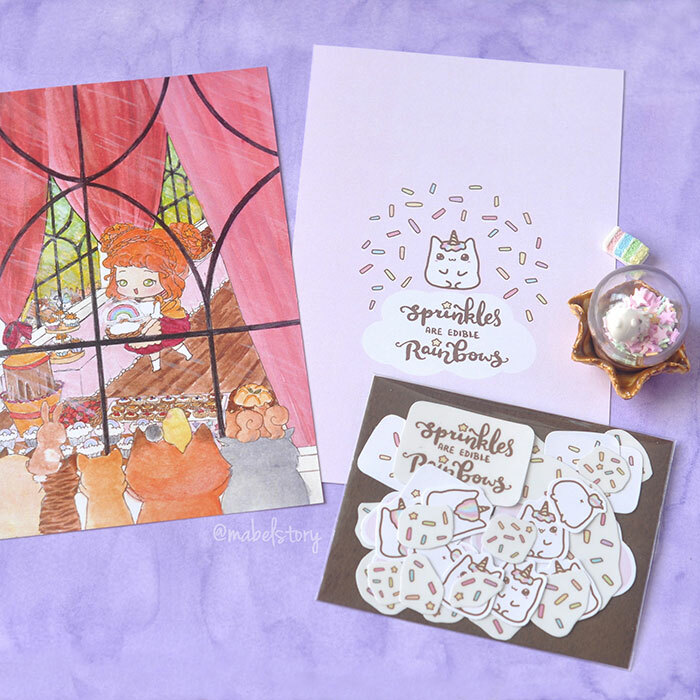 Right now, Mabel’s aim is to grow her international Patreon community to a point where she can begin to create art based on what she likes rather than just doing purely commission-based work. These include things like stickers and art cards that aren’t as painstaking to produce. As a final word, Mabel eagerly offered some advice for other artists looking to make something of their skills. To connect with Mabel, you can check out the official Mabel Story Facebook Page. You can also visit her on Patreon and Etsy.